This week's stop is New York City and our special guide is Susan Wright. Susan is the author of the Allay urban fantasy series. New York is a city that has it all, including lots of creepy places. That’s why I had a hard time narrowing down my list to just 5! I’ve picked out the truly weird stuff, the places that stand out even in the Big Apple. There are also plenty of more mildly creepy places like the Chelsea Hotel, which has a reputation for ghosts, or the underground remains of the Lovelace Tavern outside 85 Broad Street, a popular party spot in the early 1800s until Lower Manhattan burned. Everyone can see the huge ruins of the TB Hospital because they’re exposed on the southern tip of Roosevelt Island. Among the locals, it’s the most discussed spooky site in the city. You used to be able to walk among the fallen-in buildings, and it was best to do it on a rainy day when you could see the clouds and gray water all around you through the open window frames. Then you could feel how incredibly isolated it is, even while you’re completely exposed. Now the last remaining ruins are barricaded off by a chain link fence, but the park goes all the way to the tip of Roosevelt Island so you can walk all the way around the ruins and get a great view of the old place. The subway station under City Hall is a glorious place that was closed in 1945. It’s got towering arched ceilings made of patterned brick that are lit up by natural light pouring through the ornate wrought iron and glass skylights placed in the street overhead. You can see it—like it’s been caught in time—by staying on the 6 train past the final stop at Brooklyn Bridge/City Hall station. The train takes a big curving turn-around to go uptown under City Hall, letting you see the slowly moving panorama of a time gone by. It’s the freakiest thing – one minute you’re driving along ordinary road along the Arthur Kill, the waterway that separates Staten Island from New Jersey. Then suddenly the trees part and all you can see is a bay filled with dead ships. Some ships have sunk so the skeletons of their prows stick out, and others are rotting low in the water or turned on their sides in various states of decay. It’s such a sight of ruin and devastation that it’s hard to forget once you see it. There are several spooky spots in the Brooklyn Navy Yard. I ran a Trap-Neuter-Return project in the BNY for years, so I saw every nook and cranny. The 300-acre site holds a vast Naval Hospital Annex where a dozen buildings sit frozen and empty because of asbestos. There are also giant skeletons of ship-building warehouses, with the glass all shattered and the deep water slips murky and oily between them. You can take a tour of BNY if you don’t have access to the industrial complex that has grown up on the site in the midst of the ruined buildings. The reservoir sits oddly enough on a hilltop in Highland Park. It was decommissioned in 1898, but there was still water in it until there were a number of drownings in the 70s. To reach it you have to go past the Cypress Hills National Cemetery with its white tombstones in neat rows undulating over the hillside. Then you have the climb up the crumbling steps to the overgrown forest at the top, emerging into a wilderness that seems like it’s been transported hundreds of miles from New York City in an instant. But be careful – you’ll see signs of people living in there though you rarely see them. It’s not your usual walk in the park! Thank you Susan for giving us such a haunting tour of New York City! To learn more about Susan Wright and her books, please visit her website. You can add her Allay series here on Goodreads. Have you visited New York City? Ever experience anything of the supernatural kind in and around New York City? What did you think of Susan's picks for spooky places? 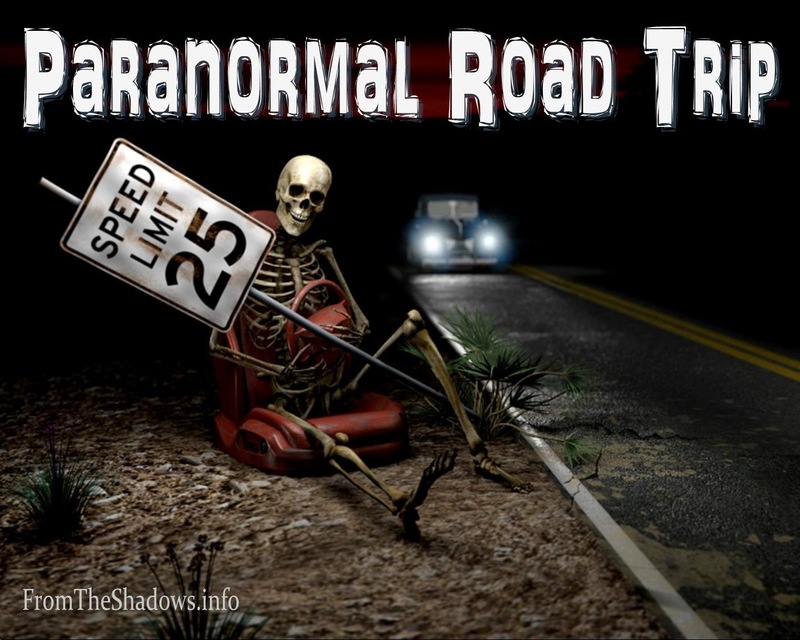 Last week on Paranormal Road Trip we visited Australia with Cassandra Page. Next week we'll be traveling to Kennian with E.L. Tettensor. Ridgewood Reservoir - I grew up in that neighborhood. Every year on the second day of Rosh Hashonnah my family, along with many others from our Temple would go there. There is a prayer that is said and you symbolically throw your past year's sins into the water. My school also had a yearly visit to Highland Park and the whole school would walk from the school building about 2 miles to the park. It was a lovely neighborhood back in the late '50's. Sounds like it was wonderful in the 50's! These posts never fail to entertain, E.J., AND make me feel guilty for not travelling more. NY is only a car ride away after all. That being said, I love an abandoned hospital, and the one on Roosevelt Island sounds positively creepy! I'm so glad you find these entertaining! I always learn something new, even if the destination is somewhere I've visited many times.